Damp-wood termites are particularly prevalent in coastal British Columbia and the Pacific Northwest of the USA. They only attack decaying wood and can be controlled by eliminating the moisture source which has lead to decay. They are rarely a problem in buildings. 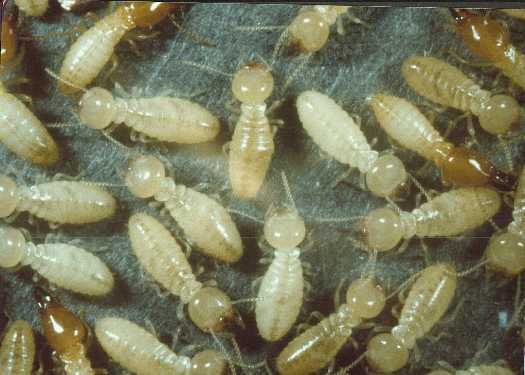 Dry-wood termites on the other hand, need no significant moisture source, and mated pairs can fly into buildings and start up a nest in dry wood. 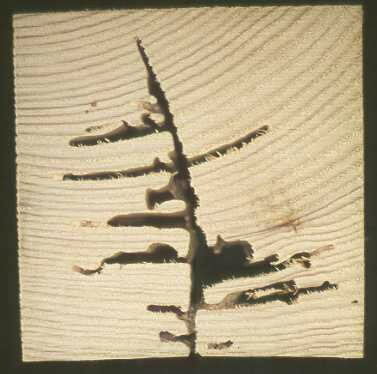 Consequently, control measures designed to separate wood from soil or moisture are ineffective. On the North American Continent, dry-wood termites are found only from the extreme south of the USA into Mexico. Subterranean termites do need a reliable source of moisture, normally the soil, but they have the capability to transmit moisture into buildings. Although satellite nests can occur in buildings, their main nests are normally in soil or wood in contact with soil. Subterranean termites build characteristic shelter-tubes (tunnels) of mud, wood fragments and bodily secretions, which allow them to pass from the soil to wood above ground without being exposed to drying air or predators. These shelter tubes can extend for several metres over inert substrates, such as concrete foundation walls. Termites can also pass through cracks in concrete as narrow as 1.5 mm. Within the subterranean group, further subdivision is warranted because of the extremely aggressive nature of one particular species: the Formosan subterranean termite -Coptotermes formosanus Shiraki. Although individually smaller than the species mentioned above, because of sheer numbers Formosan colonies can be nine times more aggressive in terms of wood consumption. This species is particularly problematic in parts of Southeastern USA, where it was introduced after WWII. It is unlikely to spread north into Canada although Canada does have other, less-aggressive species of subterranean termites. Subterranean termites are the most economically important group worldwide. Click here for information on termite control strategies. 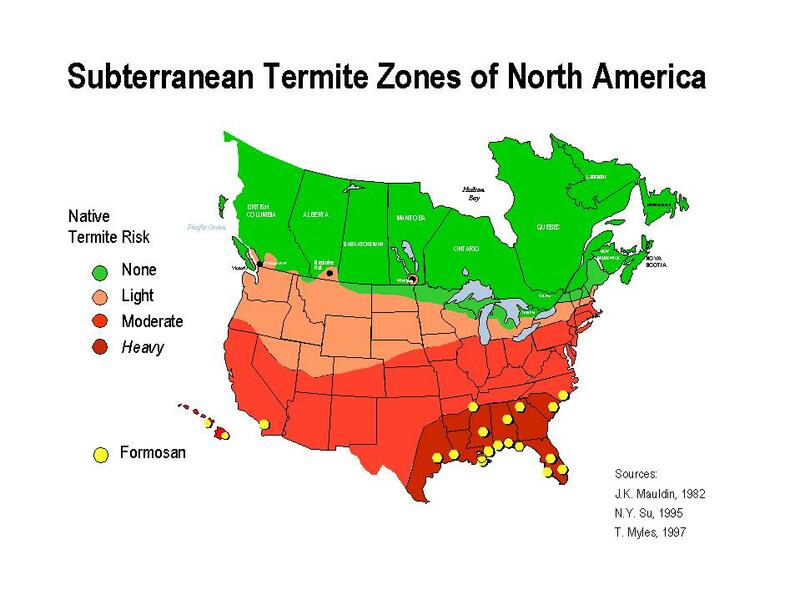 Click here for a termite map of North America. Click Here for termite links.